Expand your potential to its farthest limits and live life 100%! This section may seem redundant and superfluous to many. I have covered topics such as unlimiting your beliefs, goal setting and morning rituals already; aren’t they “personal growth”? Yes, they are. But rather than practices to make your life work well on a traditional basis, in this section we have things to really take you to a new level. To take you to a place that is likely beyond what you have imagined, allowing you to access a level that is beyond your daily life, although it affects it. Replacing your concepts of “self” and reality with new ones. See for yourself! George’s words are so true today, particularly for middle-aged men and women. Things that were considered “far out”, “weird” and “woo-woo” are being accepted in the range of “normal”. Meditation, yoga and a vegetarian diet were, until fairly recently, consider the realm of counter-cultural’s, but now we have well-respected people not only utilizing these methods, but promoting them for others to do also. These days, we are much more free to live a lifestyle that suits our fancy. It’s a world of great potential, including for personal growth. Personal growth to me means to always be examining my life for ways to make it better. It means being willing to look at beliefs about myself and others, and asking if they’re really valid or not. In some cases, it then comes down to releasing false beliefs I’ve held for decades. Sometimes this can be painful, as many of us consider these beliefs as actually defining who we are. We can feel sort of lost. But the freedom that awaits us as we take off these chains feels so good that we will be glad we did so. For me, it means to be willing to be aware of areas of my life that are not optimal, and then trying out methods to improve them. It means not believing that the limitations I have are permanent. It also means that I am open to looking at and maybe trying out methods of making myself happier, no matter how unusual they may seem. Personal growth can involve questioning some of your most-cherished beliefs. Things that for years you have been taught are “truth”. According to many psychologists, most of our beliefs were created before the age of six, and largely without our knowledge. 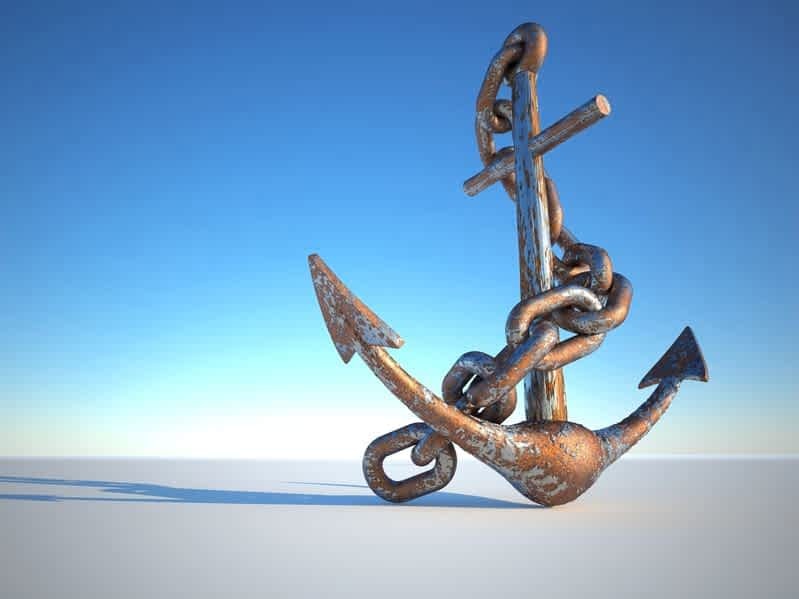 People such as our parents and teachers, as well as television and movie personalities, and even our friends, told us things that we accepted as truth. After that, we looked for examples in our lives that would validate those truths, and tended to ignore examples that invalidated them. The good news is that, like a computer, our brains can be reprogrammed. Once we become aware that incorrect beliefs are causing suffering in our lives, then we can examine them, and change them. My point has been to open your mind to the possibility that maybe what you believe is definite, is not definite. That there may be ways to make your life better and happier, and be willing to give them a try and see. The more you eliminate negative feelings and beliefs, the happier you will be. Even though this section of the Website is fairly long, I could make it ten times longer and still have more to tell you. In addition, there are new discoveries and studies done every day. On my Website at GreatMiddleAge.com, I regularly put up new articles on easier ways to uplevel your life, so be sure to go there from time to time and check them out. Of course, if you sign up for my newsletter, you’ll get lots of great info delivered to your inbox regularly. Click on this link now to get connected: https://greatmiddleage.com/newsletter/. Or you can always just click on the “Newsletter” link on GreatMiddleAge.com. One thing that’s helped me in this area is the many years I spent doing mindfulness meditation in the 1970’s and ’80’s. 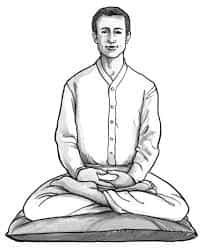 In this practice, you sit quietly and be aware of the rising and falling of your abdomen as you breathe. You don’t control the breathing, you just be aware of it. It took me years to figure out to actually let go of all control of the breath. Because we’re all so used to controlling things, we forget that this is a natural body function, and it will occur on its own. So just release all control and see what happens. In a way, just stop breathing, but don’t force it. You’ll find that your body will do just fine taking care of itself, and will breathe when it needs to and as deeply or as shallowly as it needs to also. If you wind up with long breaks in between breaths, you can choose several areas of your body to scan in sequence until the next breath. So you might become aware of the sensation of pressure on your bottom as you sit, and then maybe the pressure on your leg or foot, next maybe your thumbs touching your fingers, and so on. But the main attention is on the breathing. If desired, you can also label the activity of your abdomen as “rising” and “falling”. Do be careful to keep your focus on the sensations of the abdomen, and not just mechanically repeat “rising” and “falling”. I’ve found myself doing that. :o) I’ve read that the effort on the labeling should be about 5% of your total effort, and 95% should be on feeling the sensation. If a distraction comes up and the mind wanders away from the breathing, as soon as you notice this, label the distraction twice. So if your mind is planning what you’ll do later today, as soon as you notice that, label it thus: “Planning, planning”. If you catch yourself listening to a noise, such as someone talking, label it “Listening, listening”. In this way, you learn to be very aware of your thoughts and feelings, as well as bodily sensations. Funny, in the last year I have been seeing more and more articles online about mindfulness meditation. It seems to be one of the latest fads, but it has its beginnings about 2,500 years ago. Mindfulness meditation has been shown to rewire your brain and improve your health. I could probably fill up 2 more pages, but you get the idea. You’d think mindfulness was a miracle the way it’s being written about, and in a way, it is. For myself, through doing this practice, I have developed a pretty-good awareness of what’s going on in my thoughts and feelings, and am therefore able to more-easily see what’s causing me problems and I can thus work to change it. There are a lot of Websites and YouTube videos on meditation, so explore them and try it out. Over the past half-century I have learned many ways to clear up problems, but some of the most effective methods I just discovered in the past 10 years. In some cases, there is nothing fancy going on, just being aware of what’s happening. 1) They are being unnecessarily noisy, or just making normal noise for what they’re doing (vacuuming, making dinner, etc.)? 2) If they are aware that they are being unnecessarily noisy? 3) If I really believe that they know they’re irritating me, but just don’t care, or maybe they’re not even trying to irritate me? 4) Do I have a correct attitude to think that everyone should be aware of me and my needs, instead of the other way around? Read more about doing this as a process in the info below about “The Work”. So maybe I’m thinking Jessica doesn’t like me because she never calls me, and I am feeling resentful and actually irritated at her. The “normal” human mind usually starts making up stories and reasons as to why she isn’t calling, most of them negative. But here’s what happens when this theoretical problem with Jessica is worked with using the 4 questions and the turnaround. No, I can’t. Maybe she’s working a lot or maybe she thinks I am mad at her. I feel sad and rejected and unloved. I’d be pretty-happy and feel peaceful. A final step is to do a turnaround to the statement, and see what it’s like if maybe the fault is yours, and say something like “Maybe Jessica thinks I don’t like her because I never call her”. Ask yourself if that’s possibly true. This process can give you a lot of freedom from negative thoughts. As I write above, personal growth requires being open-minded. Even for crazy-sounding things. Almost every morning for the past 10+ years, as one of my “morning rituals”, I have been using a technique called “EFT”, which involves tapping on acupuncture points while focusing on a problem. From the outside, it looks crazy. But it works. EFT (Emotional Freedom Techniques) EFT is a method of releasing negative emotions and thus in many cases clearing up the physical conditions that they have caused. Here’s the creator of EFT, Gary Craig, giving a demonstration of how to do EFT. In 2015, more than 500,000 people attended an online “Tapping Summit”, and over 5 million people a month search online for “EFT tapping” and related terms, and the 5 highest-traffic EFT web sites have over 2 million page views a month. Over 100 papers published in peer-reviewed medical and psychology journals, including dozens of clinical trials, have demonstrated that EFT is effective for phobias, anxiety, depression, PTSD (post-traumatic stress disorder), pain, and other problems. And yet, many would dismiss EFT as “woo-woo”, New-Age craziness and airy-fairy. For myself, I read about it, checked out the Website and tried it. And it worked! As I mention above, I have been doing EFT almost daily for more than 10 years. I have read over 850 case histories and watched a lot of videos. I mainly use it on myself, but have used it to help others on occasion. I mainly use EFT as part of my “morning rituals” in order to help clean up my energy for the day. In order to do this, I first sit and be quiet for a bit and sort of scan my emotions to see what’s going on that’s negative. Do I have any fears (e.g. fear of failure with my Website)? Do I feel any discouragement or disappointment? Maybe some sadness or loneliness. Whatever the negative feeling, I use EFT to clear it out. I would say that about 85% of the time, I am able to immediately eliminate the issue. In some cases, it goes away in the next 10-20 minutes, and in some, I just don’t notice the issue, although it may be there, but diminished. A word of caution. Many people have created their own versions of EFT which they offer either free on YouTube or their Website, or else they have books and courses that they sell. Some of them have value, but the problem is that many of them do not help people to get to the core issue, and thus are not either thoroughly effective, or the results don’t last. In Gary’s tutorials, he explains how to get to the core issue and why it’s important, so take a cue from the creator of EFT and follow his teachings. 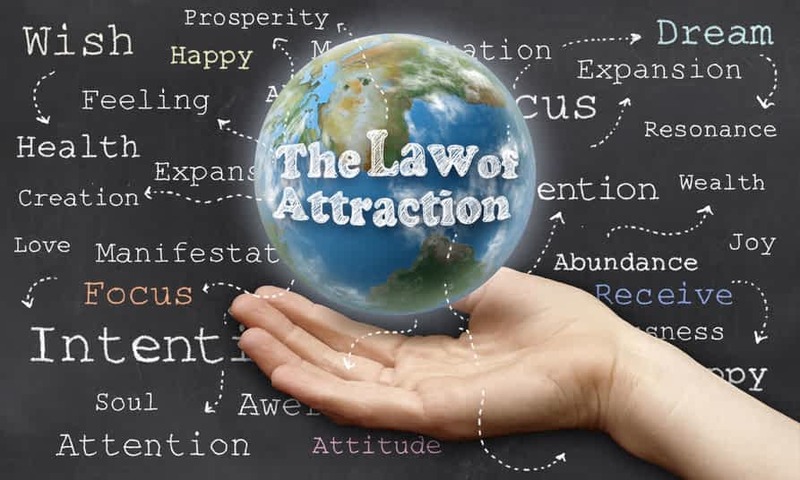 The Law of Attraction has been written about since the early 1900’s, but it gained a lot of exposure with the move “The Secret” in 2006. The book, “The Law of Attraction” was published in 2004, and written by Esther and Jerry Hicks. The Hicks’ books are — according to Esther Hicks — “translated from a group of non-physical entities called Abraham.” Hicks describes what she is doing as tapping into “infinite intelligence”. I have read some of their materials, and watched a lot of videos on this topic, mostly on YouTube. My honest take on this is that I don’t know if Esther is really “channeling” Abraham. I don’t even know if the Law of Attraction is really true in its purest form. What I do know is that in my observation, the Law of Attraction is about having a vision of what you want in life, and then holding positive thoughts about that happening. Abraham/Esther talks about bringing the best possible feeling to each moment, and I can’t see how that can hurt. I have had the experience of having my mind in a really-positive place, trusting that everything works out perfectly, and then having good things happen to me that defied logic. Let’s look at this in a different way. If you have a goal, and a positive belief that you’ll attain that goal, and you keep it in mind as you work toward it, then it is fairly likely that you’ll eventually attain it. Perhaps “The Secret” is just goal-setting in a different suit of clothes. I know that for myself, nearly every morning, as part of my “morning ritual”, I close my eyes and imagine myself living the life situation that is my goal. I say to myself something like “I am living in a really-nice house in a peaceful country setting. My health is the best it’s ever been, due to all of the great healing work I get done, as well as the exercise I do daily. I have a substantial income from my Website, and I am constantly improving the lives of thousands of people.” And I go on filling in the details. Notice that I do not say “I will be living…”, but I say it in the present tense. At the same time I do this, I generate the feeling I will have when I am experiencing all of this. I feel that this is very important, as it always makes me feel great, so if you work with this technique, be sure to create that feeling. So is the Law of Attraction and the Abraham-Hicks materials just a bunch of hooey, or is it the real deal? Go to YouTube and watch some videos. Try it out and see for yourself. The worst that can happen is that you’ll walk around happy, and that’s not a bad things at all. Upon some reflection, as I create the content for this course, I see a common thread running through all of my activities. It is this: be observant in everything you do and everything you experience, and then appropriately respond. Observe what’s going on and then have fun improving it. If there’s anything that’s not going well, fix it. Physical pain and emotional pain are a gift because they show you where your life is not optimal. Emotions such as sadness, grief, loneliness, boredom, regret, disappointment, etc. are all indicators of something that’s not going right in your life. In some cases, it’s because you are not thinking correctly. If you discover that’s the case, change your thinking. In other cases, it’s because you need to change how or what you are doing. Make the change, see how you feel, and if things aren’t right, try something else until things are right. If there’s something that’s going well, and you can find a way to make it go better, do it. This is the wonder and magic of personal growth. It’s not a struggle; it’s a game or adventure. There is no end to the journey of personal growth, no destination, only the journey. Enjoy the journey for what it is, not for where it will take you. Be continually curious, and open to new things. If you try many new things, there will be some of them that you don’t like or which don’t work for you. This is not failure. This is part of the process of growth. Your body & mind are a wonderful source of help in your growth. Be attentive to them and you will see. If you have pain or sadness, it is a message that something’s wrong, so look for the cause and change it. Your life can be a wonderful adventure of making it better and better. Enjoy the journey! If you haven’t listened to some of the TED talks, you’re missing out. They are no more than 18 minutes long, and contain condensed wisdom, if you will, on many topics. 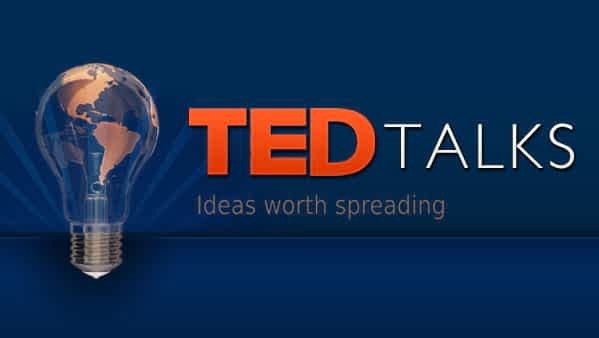 TED (Technology, Entertainment, Design) is a global set of conferences run by the private non-profit Sapling Foundation, under the slogan “Ideas Worth Spreading”. The emphasis is on the educational aspect. TED was founded in February 1984 as a one-time event, but was launched as an annual conference series in 1990. TED’s early emphasis was technology and design, but it has since broadened its focus to include talks on many scientific, cultural, and academic topics. Dr. Rankin is on a grassroots mission to heal healthcare by repairing the doctor-patient relationship, while empowering both patients and health care providers to marry the best of Western medicine with mind-body approaches scientifically proven to activate the body’s natural self-repair mechanisms. His approach, taught in a very simple method, creates a bridge between true human potential and the latest scientific theories of neuroplasticity. He explains how thinking in new ways, as well as changing beliefs, can literally rewire one’s brain. The premise of his work is founded in his total conviction that every person on this planet has within them, the latent potential of greatness and true unlimited abilities. “12 Powerful Habits I Have Stolen From Ultra-Successful People”. In this article, Tomas lists some great daily habits that he has integrated into his life. Some of them seem simple, such as getting up early and making lists, but don’t be fooled by their simplicity, as they are powerful. Ono of them I haven’t heard of, and that’s what he calls “habit stacking”. Tomas writes “Habit stacking is a concept of sticking a new habit to a current one, for example, right after you’re brushing your teeth you can read 2 pages of an inspirational book. You’re more likely to develop a new habit on top of an old one because your brain has lots of synaptic connections for that habit to run it on autopilot.” This is brilliant! Another habit is “defining the most important task (MIT). Tomas writes “Most of the time I’d just write a to-do list of some random tasks I want to do that day and my over optimistic to-do list would go unfinished every day. Now, I am focusing on one major task, the most important task (MIT) of the day that will help me achieve my vision and contribute the most to the future I want to build. To me, this one habit can be a game-changer. Add it to some of the others, and you’ve got “personal growth”. I strongly suggest that you read his entire article. It could change your life! In this great article, Fani Stipkovic writes about how many of us feel that we need something outside of ourselves in order to be happy, such as a great relationship, the perfect job or lots of money. When we do this, we take the power to be happy away from ourselves and give it away to an external source over which, in reality, we have no absolute control. Fani makes a great statement when she states that this is how addictions are created. We give the power to be happy to someone or something else, and then we must have that source in order to be fulfilled. Towards the end of her article, she wisely gives 6 steps to liberate yourself and take back your power. I really hope you’ll read her article and follow the steps. You’ll be happier for it. So, that’s it! Yep, if you have read all of the sections of this course, then you’re on your way to an incredible life. It’s probably a good idea for you to do a review by listening to the audiobook version of this course. And if you have just finished the audiobook version, you might want to read the eBook version, as it has many links in it to valuable resources. In addition, on my Website at GreatMiddleAge.com, I regularly put up new articles on easier ways to get fit and lose weight, so be sure to go there from time to time and check them out. Of course, if you sign up for my newsletter, you’ll get lots of great info delivered to your inbox regularly. Click on this link now to get connected: https://greatmiddleage.com/newsletter/. Or you can always just click on the “Newsletter” link on GreatMiddleAge.com.